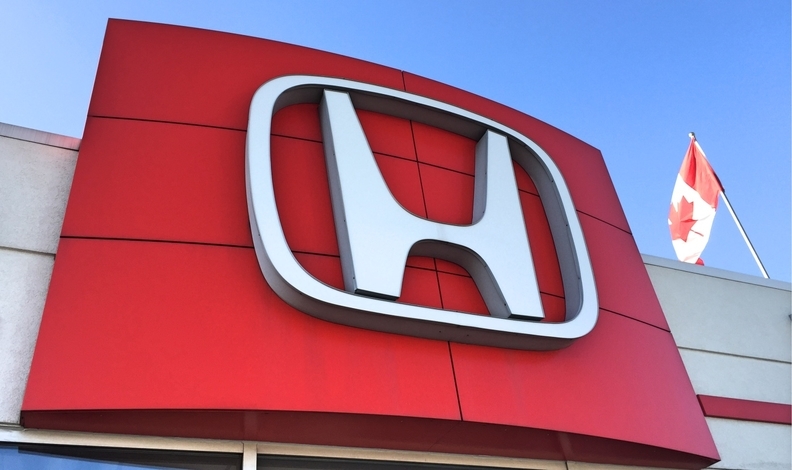 Honda Canada was the only automaker to increase Canadian production in 2018. Japan-based auto manufacturers posted their fifth consecutive year of record Canadian light-vehicle sales in 2018, even as the industry overall saw a decline for the first time in nearly a decade. The Japan Automobile Manufacturers Association of Canada, which represents Honda, Mazda, Toyota and Nissan, among others, says sales rose nearly two per cent to 733,3i8 units last year, boosting market share to 36.9 per cent. Mitsubishi, Nissan, Subaru and Toyota all had record sales years. Total annual new-vehicle sales for the industry overall fell in Canada in 2018, when 2,003,506 vehicles sold. That total is down 1.9 per cent from 2017, according to the Automotive News Data Center in Detroit. “Despite challenges in the auto sector across North America, much of which can be traced to uncertainty over global trade, Canada-based Japanese-brand auto manufacturers remain resilient,” Larry Hutchinson, chairman of JAMA Canada and president of Toyota Canada, said in a statement. Japanese-brand auto manufacturers’ Canadian production fell 7.1 per cent to 930,140 units in 2018, but their share of light-vehicle production in Canada increased to 46.5 per cent last year as total output in Canada declined to just under two million light vehicles. Softer demand for sedans in general, and the transition to building the next generation Toyota RAV4 in Woodstock contributed to the decline in Canadian production, the association said. Nearly 78 per cent of Japanese light-vehicle production in Canada was exported in 2018. In 2018, Japanese-brand automakers built close to 1.3 vehicles in Canada for every one sold. “While Canada remains highly trade-dependent in a robust, rules-based global trade system, it is also important for JAMA Canada members that our success continues to be a made-in-Canada story,” Hutchinson said. Japan-based automakers, including medium-duty truck maker Hino, operate five assembly plants in Ontario.